When starting a new game in Dying Light, the first thing you want to do is level up your skill trees to unlock more abilities and perks. Skill points are earned by doing things related to each of the 3 skill trees (Survivor, Agility, & Power). I love leveling this way, because it means the things you spend the most time doing, are the areas you level up the fastest. But what about those of us who want to level up much faster and gain some extra money in the process? Well, here is one of the easiest ways to level up fast and earn extra money. The best part is, you can do this as soon as you get to The Tower safe house. Step 1: Go to The Tower safe house. Once you’re there, go upstairs and sleep until night. IMPORTANT: Dying Light gives players bonus experience points for playing at night. Step 2: Go to one of the entrances of The Tower on the bottom floor. Notice the fence traps on the ground at both entrances. Step 3: Throw some firecrackers to lure some Volatile zombies close to the entrance. 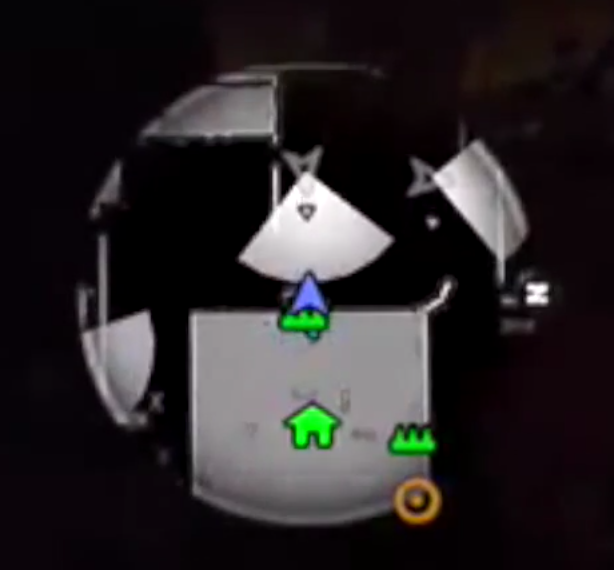 You can see the Volatiles on your mini map by looking for their vision cones. IMPORTANT: The UV Flashlight is your best weapon against Volatiles and other zombies at night. Make sure it is equipped during this process. Step 4: Once they’re close enough to the entrance, you need to get them to chase you. We recommend using short bursts on your UV Flashlight to make them mad. Step 5: The Volatile will begin chasing you. Run back to through the entrance to the safe house. The Volatile will have to stop at the entrance. Step 6: Once you’re inside and the Volatile is stopped at the entrance, activate the fence trap. Step 7: While the Volatile is being electrocuted, shine the UV Flashlight on him. In my experience, this has helped kill them quicker. Step 8: Profit. Search the corpse for cash, rinse, and repeat. That’s it! You can do this as much as possible during the night. Once the night is over, simply go back upstairs and sleep until night again. If this has been helpful, please leave us a comment or share this with a friend. And don’t forget to subscribe to our YouTube page for more gaming videos! So, I canceled my preorder on the NewNintendo 3DS XL. For me, that kind of a big deal, as I’d bought both the original 3DS and the 3DS XL on their respective launch days in 2011 and 2012 (I wrote about the 3DS XL when I got it here). Even when I tell myself that I’ll wait on picking up a new console or handheld, I most often end up getting them right when they come out. I’m always lured in by the newest and best gaming experience this is why I have an XBox One, PS4, Vita, WiiU and 3DS, as well as a gaming PC. And so, I’d preordered my New 3DS XL at GameStop a few weeks ago, planning on strolling in this Friday and picking it up, probably with a copy of Majora’s Mask. But the more I thought about it, the more I realized that there is really no reason for me to get a New 3DS XL at launch. For starters, I don’t have time to play Majora’s Mask right now. We’re knee-deep into Dying Light and Dragon Age: Inquisition for upcoming Co-Op Critics podcasts. I’ve also started a Minecraft and Disney Infinity 2.0 series with my son (I used my preorder refund to get more Infinity stuff), so Majora’s Mask would be sitting for a while. I’m also not huge into the Monster Hunter series (although I’d love to have it finally ‘click’ with me), so there are no games I absolutely must play at launch. 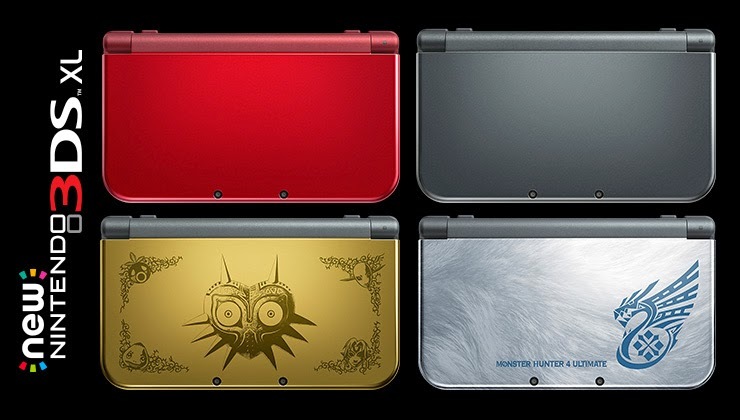 Finally, and maybe the biggest reason I’m holding off, I missed out on the Monster Hunter and Majora’s Mask bundles, which both featured limited edition versions of the New 3DS XL. I put my preorder money down on the red one, but I just wasn’t feeling it after I did. So, I’m waiting for two things before I take the plunge–a game that takes advantage of the new features that I’ll feel compelled to buy when it launches, and a new color or design. I’m guessing that we’ll get both of those things before the holiday season rolls around. For once, I’ll wait and see. If you’ve checked our Co-Op Craft: Family Edition series, then you already know that I love gaming with my son Parker. 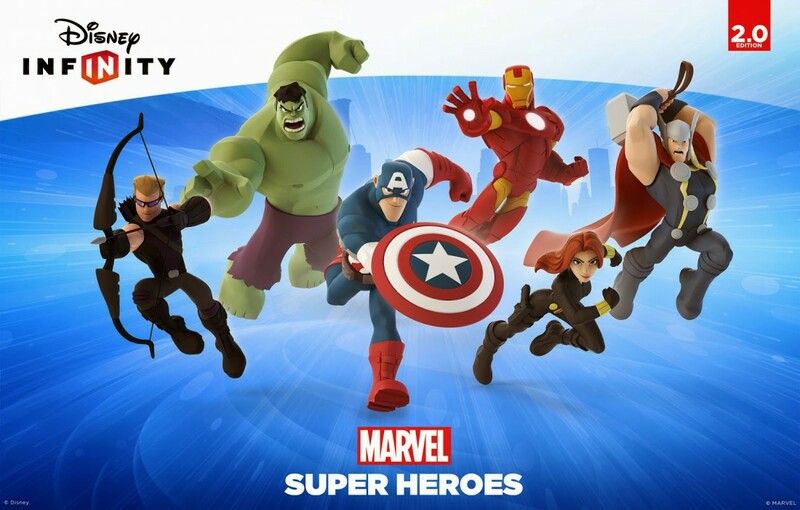 We are both huge comic fans as well (I’ve hosted the comic podcast Secret Identity since 2006), and we’d been talking about doing something with Disney Infinity 2.0: Marvel Super Heroes. We had the original Infinity game for Xbox 360, but it had taken a back seat to Skylanders with my son and his friends. But after having a ton of fun playing Minecraft together, we decided to get Disney Infinity 2.0 for the Xbox One, and start playing through the Marvel Super Heroes stuff. And just like that, a new series for Co-Op Critics was born–Co-Op Infinity: Family Edition. In the first episode below, Parker and I get our feet wet and play through the opening mission of the game. We start with Hulk and Thor, but then I switch over to Black Widow. Stay tuned for more episodes coming soon, which you can keep up with by subscribing to the playlist! This week I started a playthrough of Resident Evil HD Remaster on the PlayStation 4. 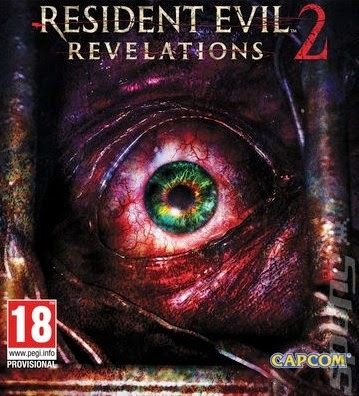 I honestly have not played the original Resident Evil since it came out for PlayStation in 1996. And even then, I never finished it. So, I begin this series with my strongest memories being the infamous dog scene, and of course, the greatest video game opening of all time. Seriously, that intro is freaking great. As you’ll see in the video below, it takes me a bit to get used to the controls, and I make one particularly fatal mistake in exploring the early sections of the mansion. But I’m really enjoying revisiting the game so far, and the sense of atmosphere is still there after all these years. Stay tuned for future installments, as I’m planning on streaming my entire playthrough of the game. I was just looking at Game Informer’s list of 2015 game releases, and I started hyperventilating. I’m knee-deep into both Dying Light and Dragon Age: Inquisition right now, and they’re taking up almost all of my gaming time (in a good way, mind you). So, moreso for my own sanity than everything else, I’ve decided to do a monthly list of notable game releases, so I can keep straight those games that are on my purchase radar. I won’t be getting all of the games on the list each month, but it narrows down my potential list quite a bit. Of the list above, I would say that I can probably afford one or two purchases, both time and money-wise. 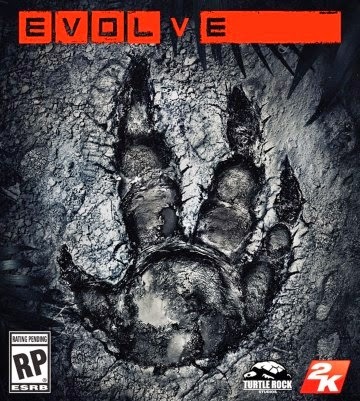 Evolve will be a strong contender, just because I know the Co-Op crew will all be playing it. 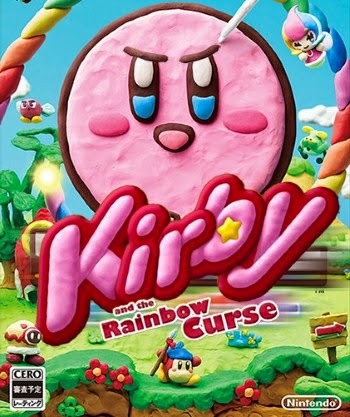 But, I have a Kirby Amiibo waiting to be unleashed upon Rainbow Curse, and I am very interested in The Order: 1886. Since The Order is only a single-player game (which is a good thing, IMO), I may wait until I clear out some of my backlog before grabbing it. Oh, and did I mention the New 3DS XL comes out on February 13th? Excuse me while I hyperventilate again. Dying Light was released last week, and we’ve been having a ton of fun with it so far. 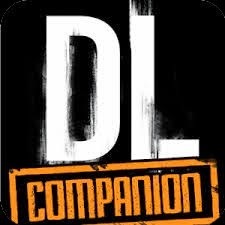 You may or may not know that Dying Light also got a companion app for Android and iOS, but unlike a lot of game-related apps, this one is actually really useful. 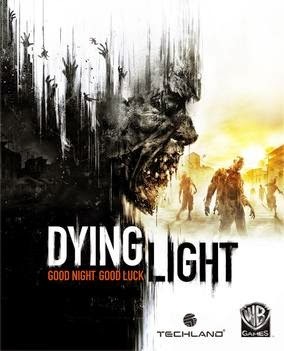 The basic concept of the Dying Light Companion is that you are commanding a crew of scouts that you send out into the city to complete missions. The loot they collect during those missions can be put into a care package that you send to your in-game character in Dying Light. It’s definitely worth your time for the amount of medkits you’ll be able to collect and send your character. You can see our quick look in the video below. You can get the Dying Light Companion on Android here, and on iOS here. And if you want to see the Co-Op crew play some Dying Light, we have a playlist over on the YouTube page you can check out here. 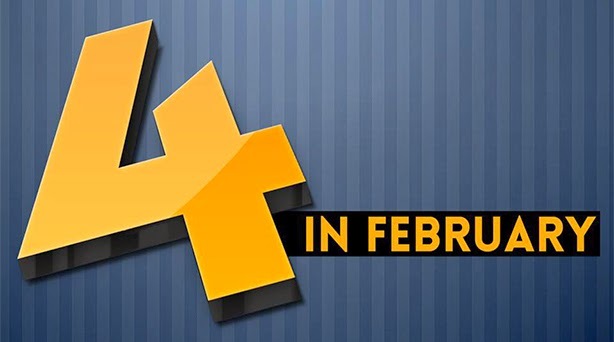 Let’s Celebrate Joystiq With 4 in February! Very sad news dropped this week when word spread that gaming site Joystiq would be shutting down. Lots of folks have spent the better part of the week reminiscing about the site and the work they’ve enjoyed from the folks at Joystiq over the years. And while the site itself will cease posting on February 3rd, we’ll be celebrating their legacy for years to come. One way to celebrate that legacy is by participating in a challenge that Joystiq started last year: Four in February. The rules are simple–you pledge to complete four games by the end of February. They can be new, old, partially completed or never been touched. This is obviously a great time to clean out your backlog, or put some games to bed you’ve been slacking on for a while. There’s a great community already set up around this challenge, and this year Co-Op Critics is taking the plunge! We’ll be tweeting about our progress using the #4iF and #FourInFebruary hashtags, and we’ll drop by the Four in February Facebook group as well. You can expect some streams and videos from the games we’re playing over the next month, and we’ll be sure to note which ones are part of our Four in February list. So, what do you say? Are you in? Let us know what games you’ll be playing by tweeting us at twitter.com/coopcritics. Dying Light was released earlier this week, and hopefully you’ve checked out our first impressions of the game. Both Nick and I spent a good amount of time with the game on release day, and a good chunk of that time was in the co-op portion of the campaign, which you unlock after playing through the prologue. We’ve broken the episode into two parts, the first of which features a lot of us learning to navigate the city and then completing a fetch quest for a pretty strange NPC. The second part of the episode sees us trying to track down an airdrop and then getting caught out in the city after dark. This leads to a panic-fueled, hilarious run back to the safehouse (around the 30-minute mark) that is reminiscent of Left4Dead. We’ll be streaming more Dying Light on our Twitch page in the coming weeks, and we’ll post some of the gameplay up on YouTube. Stay tuned. For those that are not familiar with the show, each episode we take a game or series and have a long-form group discussion about it. This month’s game is Destiny, and I was joined by Nick Merritt and Jeff Rodgers to discuss everything from pre-launch expectations to what we’d like to see in the future from Destiny. You can listen to the episode right here in the player above, or you can watch us play Destiny while listening to the podcast in the YouTube video below. Each month we’ll be releasing gameplay videos along with the podcast, so for those who like to watch as well as listen, we’ve got you covered. You can check out all of our back episodes in the sidebar here on the blog, or over on our SoundCloud page, where we’ve put a playlist of all the episodes together. We’ll be back next month with a new podcast, in which we’ll be talking all about Dying Light. Until then, expect more videos and game discussion here on the blog and on our YouTube page, where new videos are going up several times a week. Nick and I spent almost four hours with Dying Light last night, which was more than enough time to form some first impressions of the game. 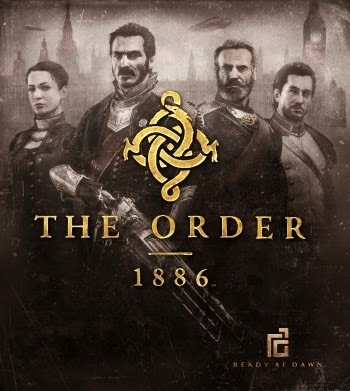 I’ll get this right out of the way–I thought it was decent when we first started playing, but by the end of our session I was really enjoying the game. Dying Light is a lot of fun. Mechanically, Dying Light feels like Dead Island with a more elaborate traversal system. The combat feels almost exactly like Dead Island, although I can already tell from the skill trees that there are more layers to it, including a variety of combat moves you can unlock that will make melee combat a lot more satisfying. Much like Dead Island, you begin Dying Light very under-powered. The weapons you have are very simple and break easily. You’re better off staying away from zombies instead of confronting them, especially if there’s more than one or two in any given area. But like Dead Island, there’s a crafting system that allows you to repair and modify the weapons you find, and scavenging for materials is extremely important when you’re out in the city completing missions. So as you can tell, my first impression was that Dying Light was pretty much a next-gen version of the Dead Island series. But there are a couple of major differences, and they really add to the Dead Island formula. First, the traversal system. As you can see from the trailers and the video below, it’s very Parkour-inspired. Scaling up buildings and vaulting across rooftops is a little clunky at first, but as soon as you get comfortable with it, there is a smoothness to traversal that allows you to cover a ton of ground in a short amount of time. It also reinforces a major theme in Dying Light–stay off the ground whenever you can. The zombies are attracted to noise, and they swarm pretty quickly. Individually they seem slow, but as soon as you’re surrounded, you’re pretty much dead (at least early on). Your best bet is to navigate around groups of zombies. The second big change from Dead Island is the day/night cycle and how it affects the threat level you face in the city. As you might imagine, nighttime is much more dangerous, but what surprised me is just how dangerous and truly scary it actually is. There are much more powerful enemies that come out at night, and it leads to some frantic chase scenes as you try and scramble away from something that can pretty much kill you in one hit. I had commented to Nick early on in our co-op playthrough how there wasn’t that “Left4Dead moment” in Dying Light that I had been hoping the game would provide. But the chase that came near the end of our session provided the same kind of thrill I got when I was racing toward the evacuation point at the end of a Left4Dead mission. It was a panic-induced blast, and that was just with two of us. I cannot wait to get four friends together in Dying Light and venture out into the city at night. So, what seemed like a bit of a slow start was really just Dying Light giving us time to get familiar with its traversal, combat, crafting and mission systems. There is a lot of fun to be had in this game, and once you start to experience the city at night, everything gets dialed up a big notch. Look for an episode of “Co-Op Plays” featuring the co-op portion of the playthrough Nick and I did, and you can also expect a lot more Dying Light to be streamed on our Twitch channel over the coming weeks.